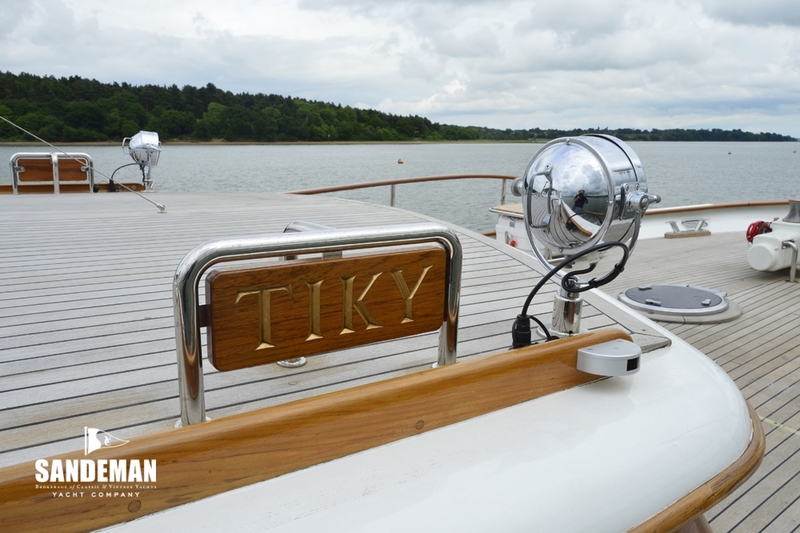 TIKY is a motor yacht that will never go out of style – some boats have that extra something; a magic that will stop you in your tracks. 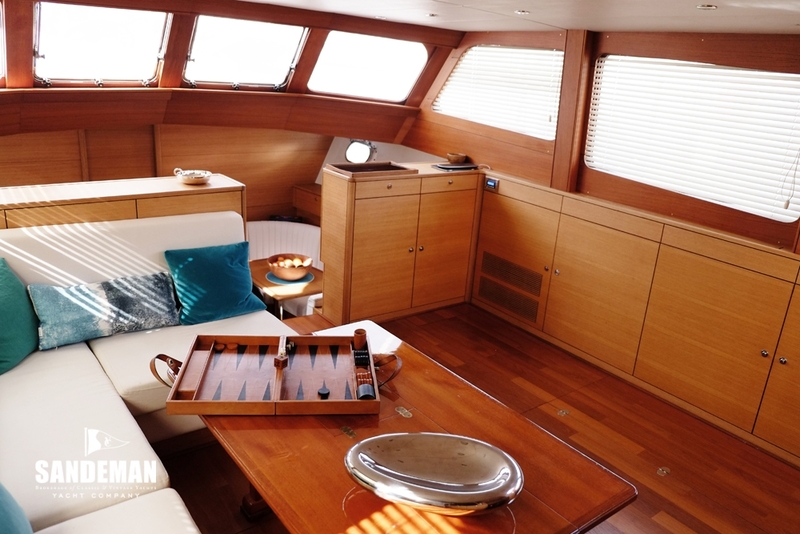 This is of course no mere accident as she is from the renowned Feadship bloodline. 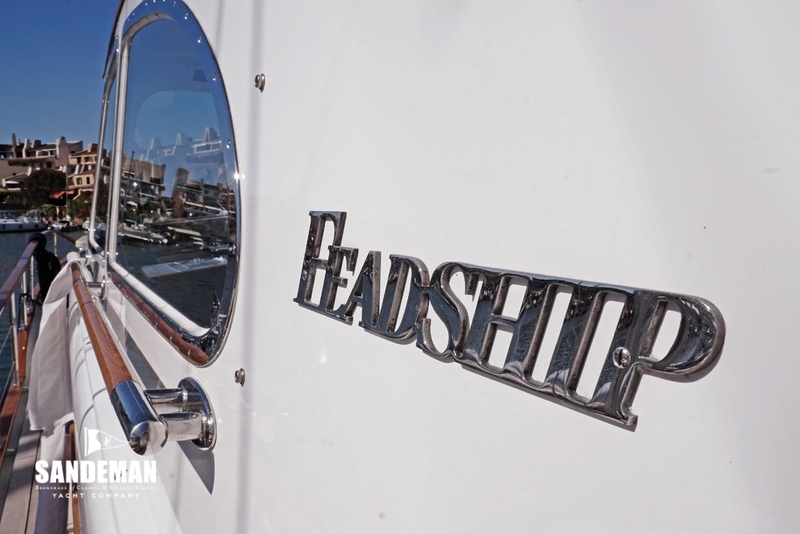 “Boat International” wrote this year that a classic Feadship is a “piece of superyacht history” and from every angle and in almost every detail this yacht certainly captivates. 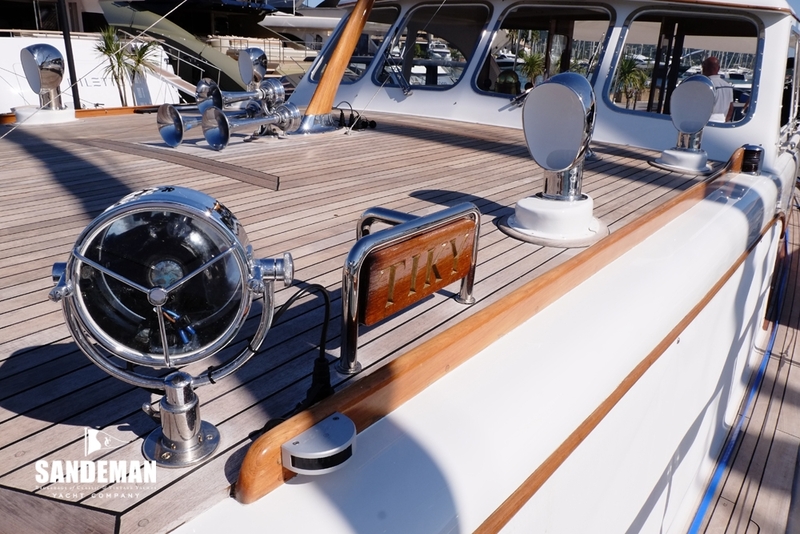 TIKY’s well documented restoration finished with her re launch in 2014 - and since then three yachting magazines have been inspired to publish articles about her, in which testament is made to her restoring owner’s experience, stamina, eye for detail and good taste. 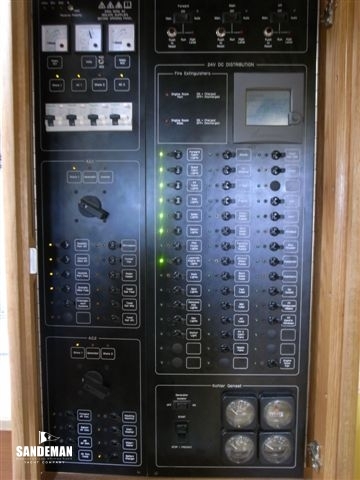 TIKY lives again and probably in better shape than she ever was. 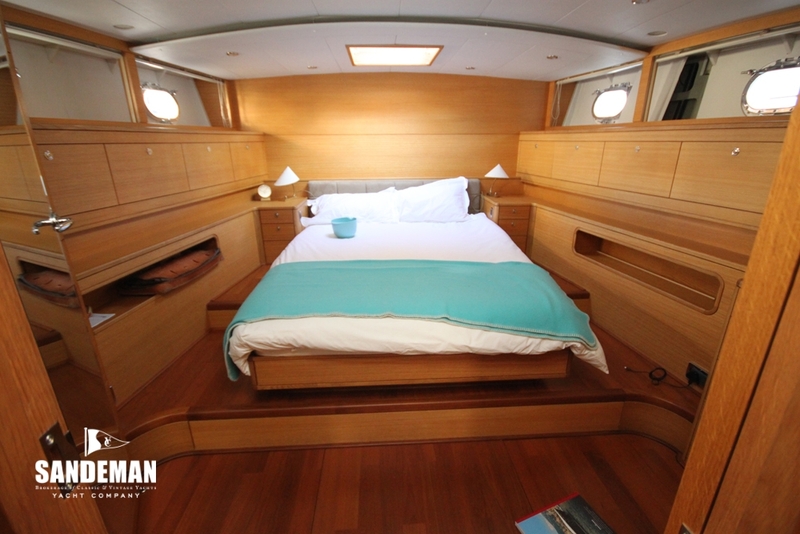 By God she is worth it and highly recommended ! 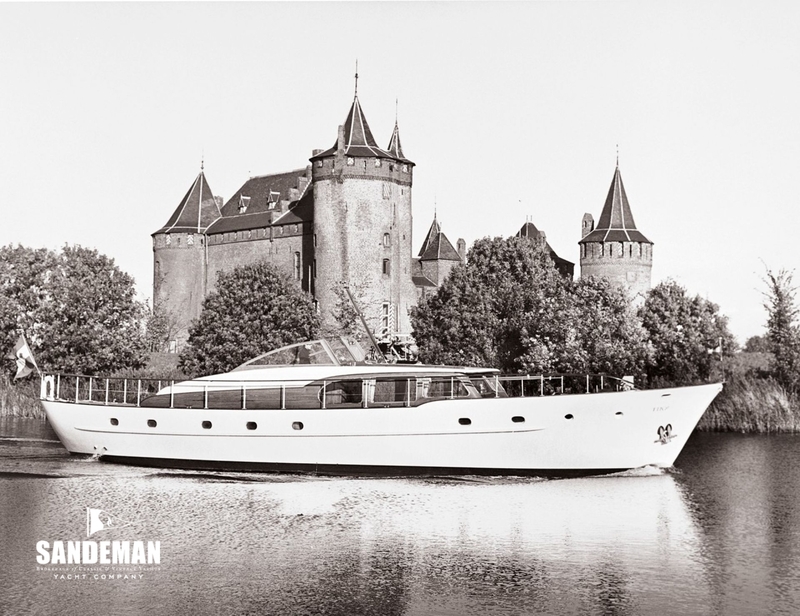 Commissioned in 1960 from Van Lent & Zonen, one of the founding members of the Feadship consortium, the 62 ft TIKY was an extravagant boat for her time. 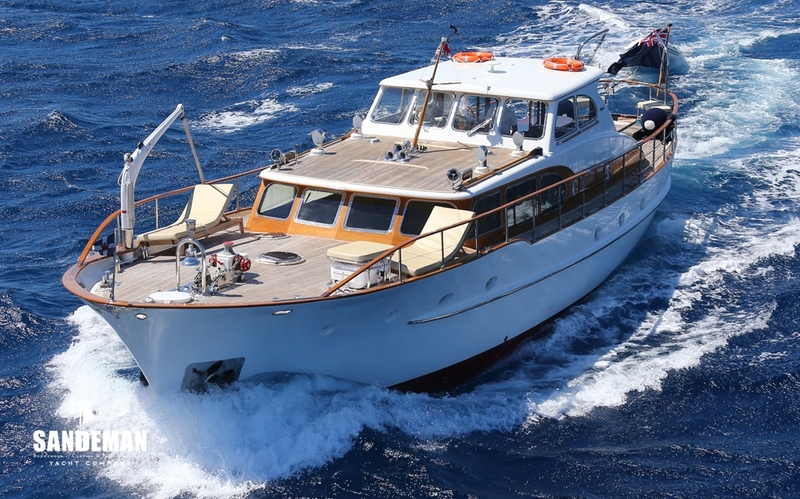 The Fischer family cruised her all over northern Europe for 20 years before selling her back to yard owner Jan Van Lent in 1982. 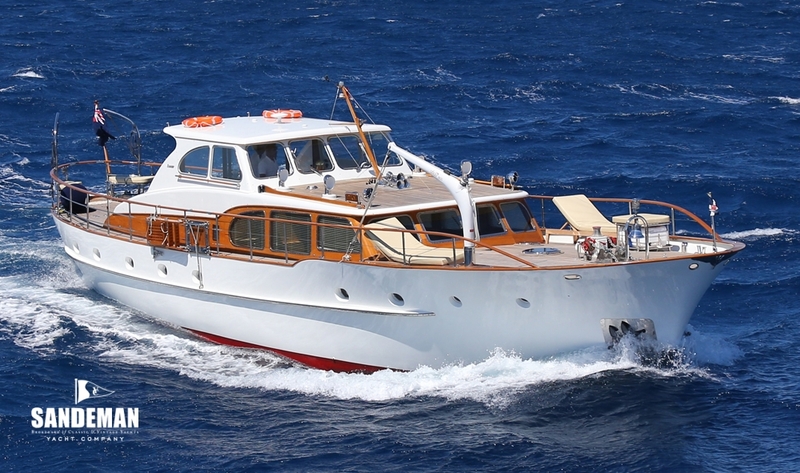 She was sold again, renamed LENTEN ROSE and spent a few years in the UK before being taken to the Mediterranean, where she cruised under a succession of British owners, including Lord Normanton, chairman of the British Powerboat Racing Club, who changed her name to ALTO VOLANTE after his famous racer. 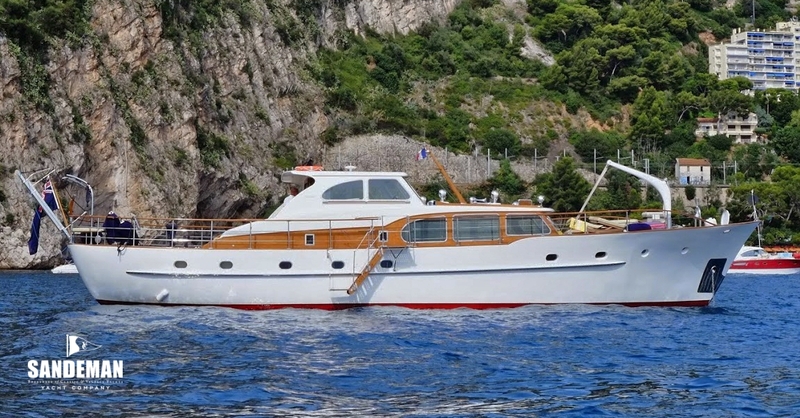 Although modernised over the years, in due course she fell into some decline to be found in 2006 by a hands-on boat restorer; the current owner. 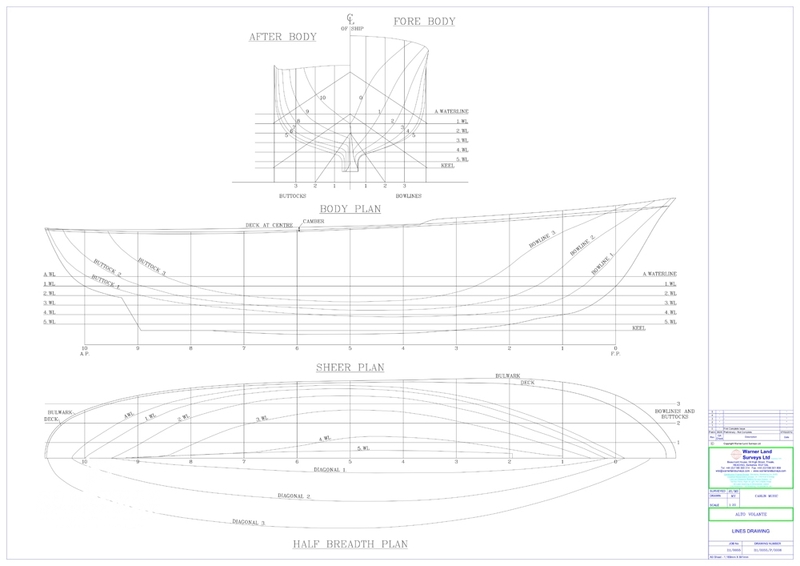 The owner having sold the 50 ft 1938 Fred Shepherd yawl he had spent five years restoring was looking for another project – this time a motor yacht to restore as a comfortable family cruiser. 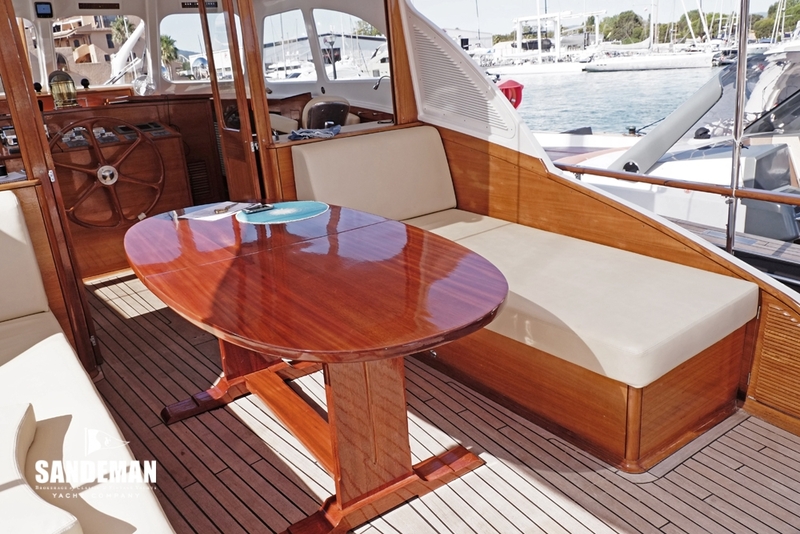 He found TIKY lying in Mallorca. 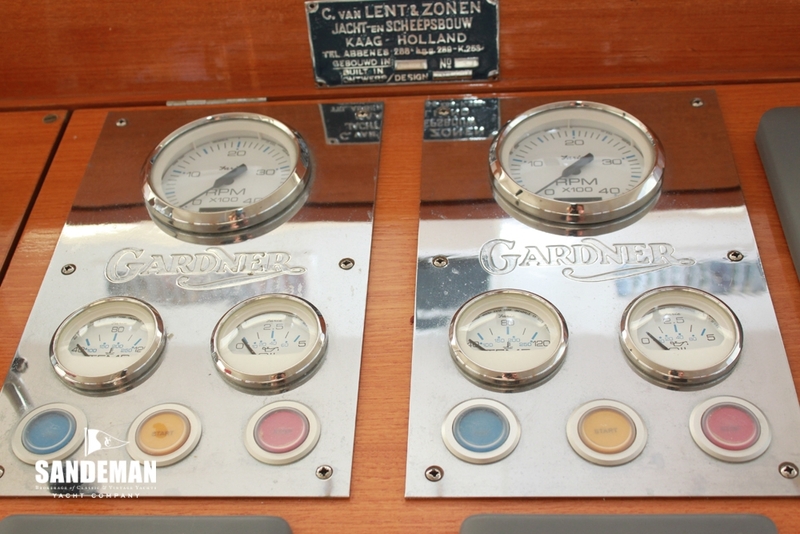 Externally she appeared fine, despite an ugly, non-original pilothouse, but the interior, engine room and equipment were in serious need of restoration. 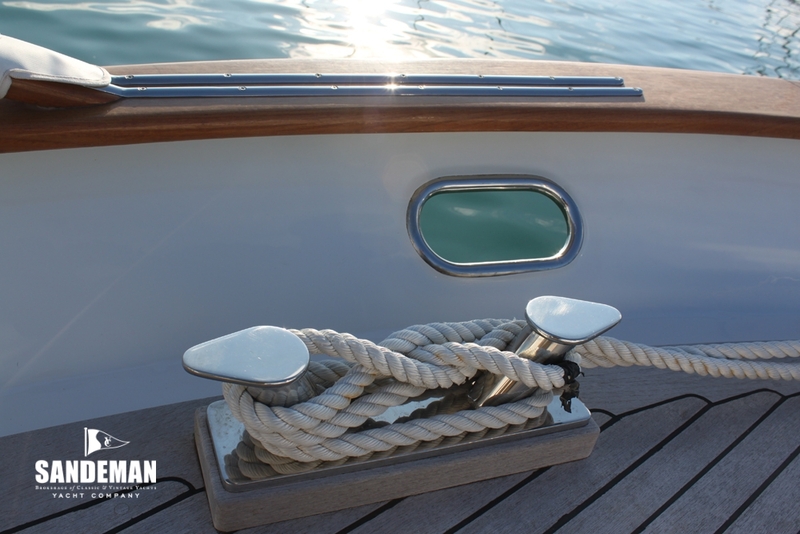 “Something about her beckoned me,” he says. 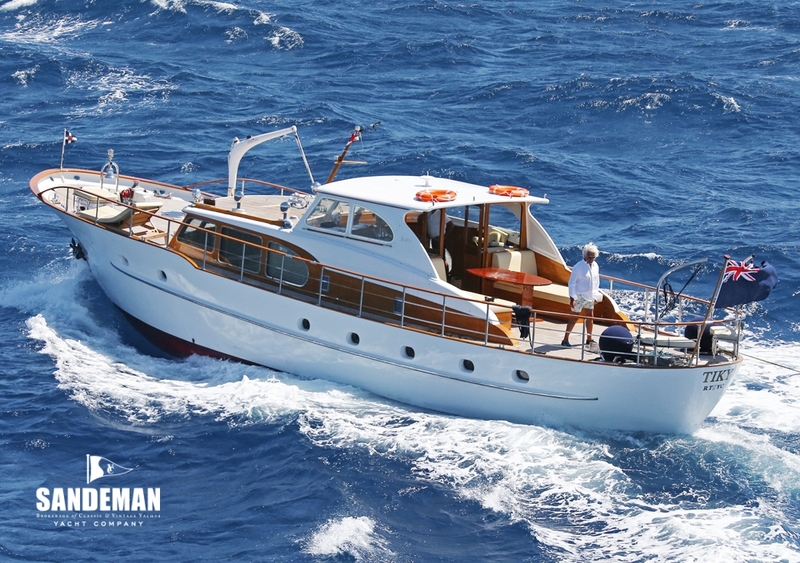 “Perhaps it was the wonderfully purposeful flare of her bow or maybe her elegant rounded stern, or perhaps I was just enamoured by her Feadship heritage”. 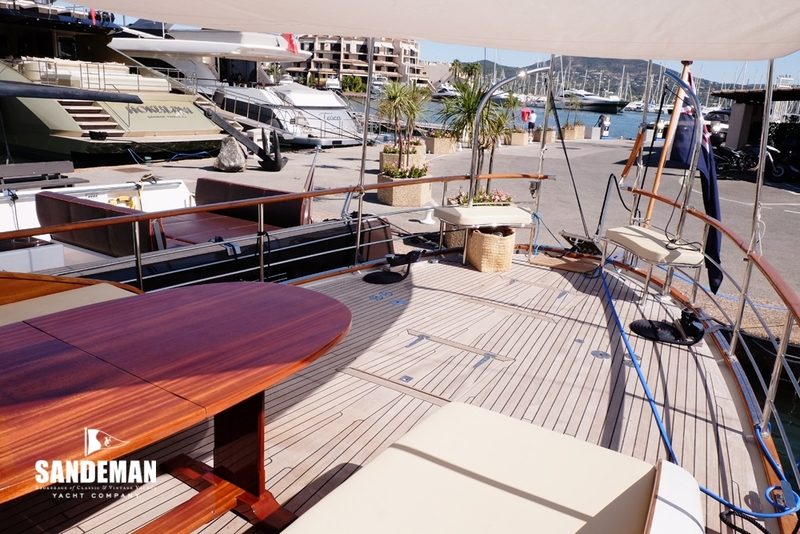 On further inspection the entire teak deck proved to be unstable and coming loose needing to be replaced as a priority. 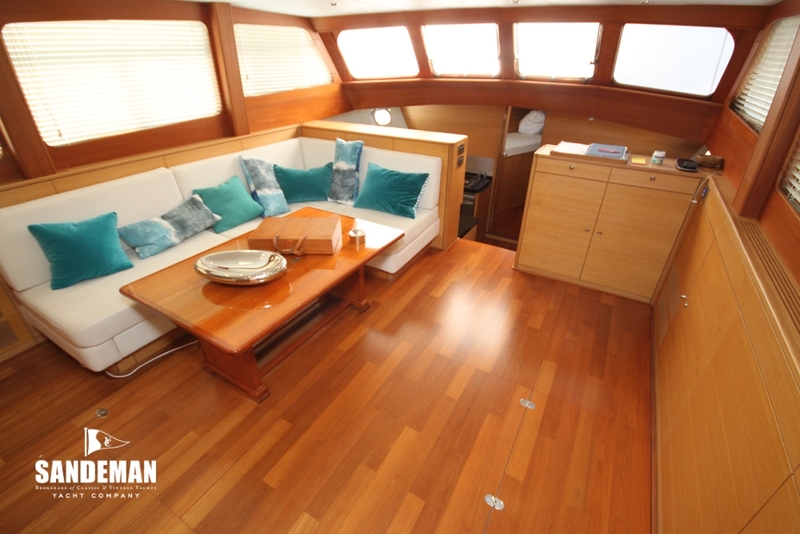 Removing the teak revealed that not much remained of the steel deck below. 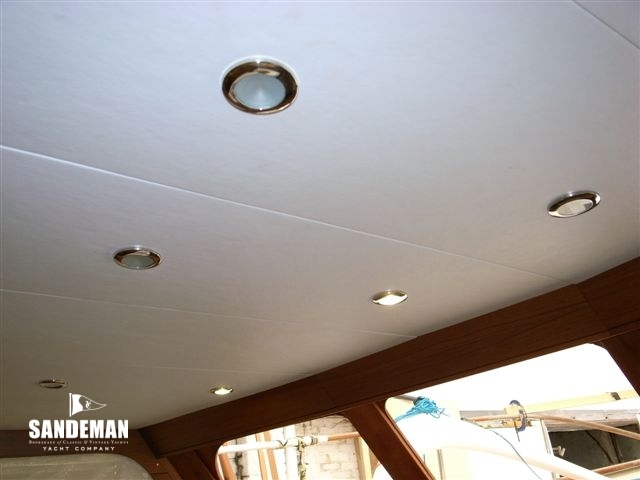 New steel plates and beams were fitted, followed by a ply sub-deck coated in epoxy. 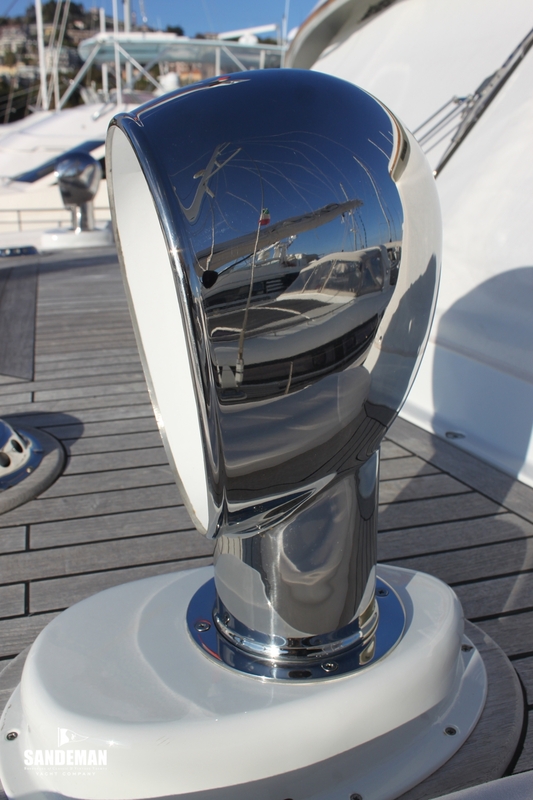 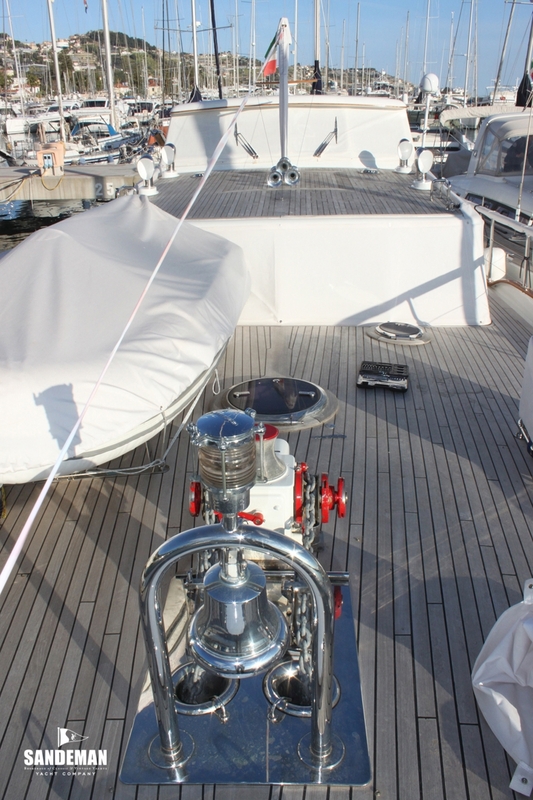 The pace of the refit thereafter was slow and the yacht moved to a well respected yard near Marseilles. 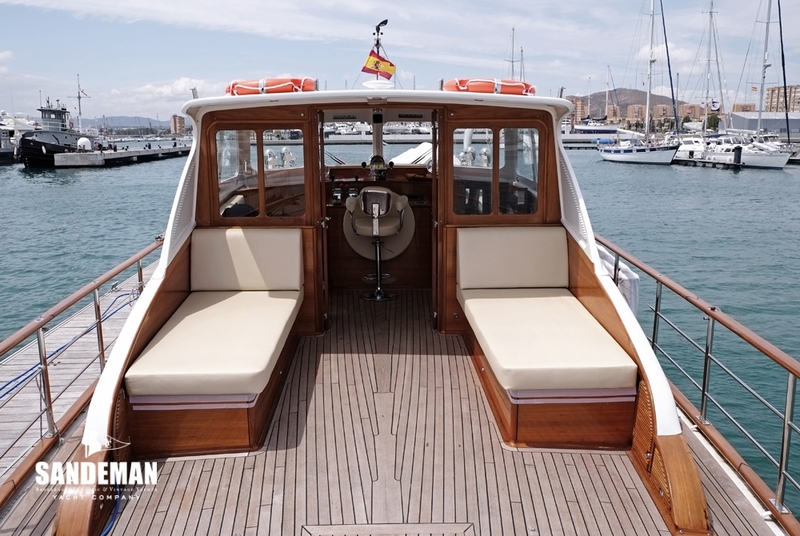 Time in Mallorca had not been completely wasted however. 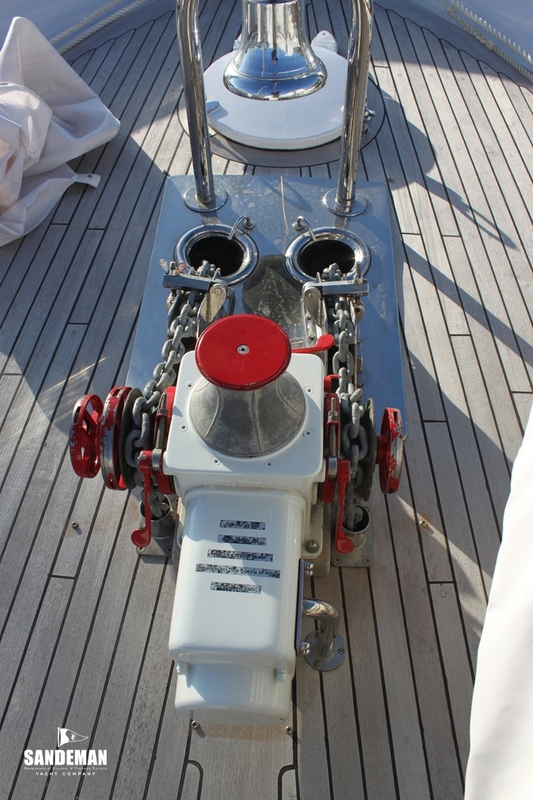 As well as the new teak deck, two beautifully rebuilt Gardner 6LXB engines had been installed along with new stainless steel shafts. 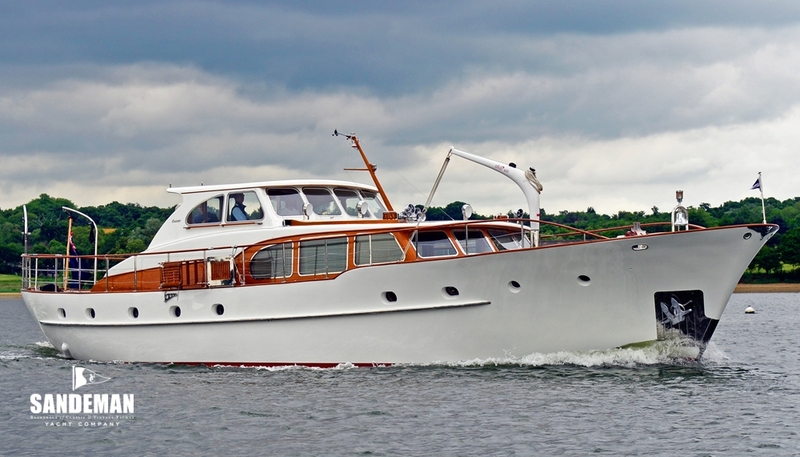 In due course TIKY was moved to the E C Landamore yard at Hoveton on the Norfolk Broads, near the owner’s home in England. 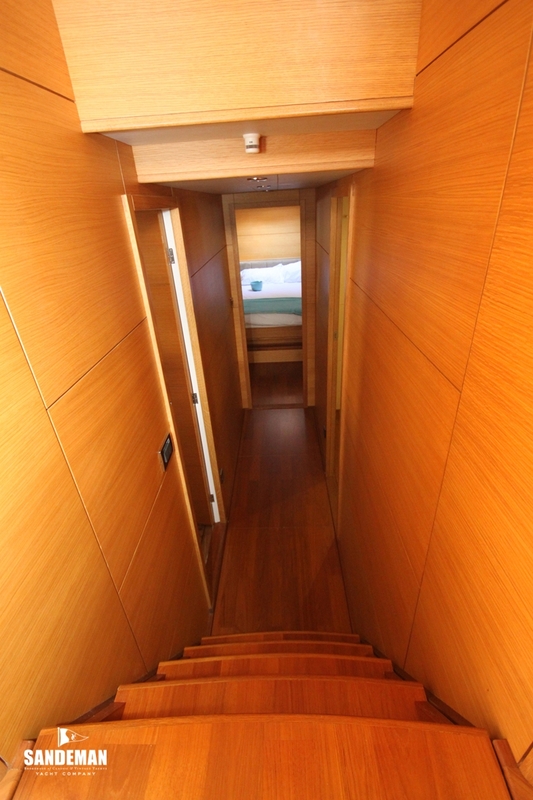 In October 2009 she arrived there with work still to be done. 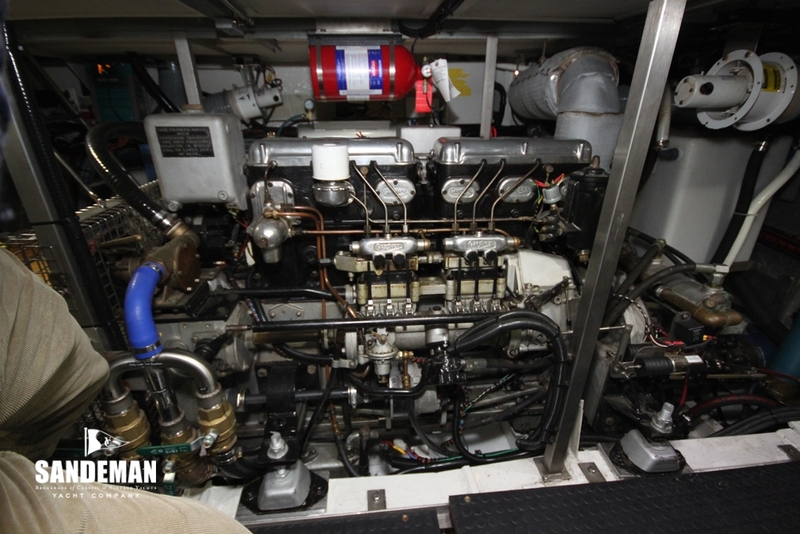 Considerable areas of hull plating were replaced requiring stripping the rest of the interior. 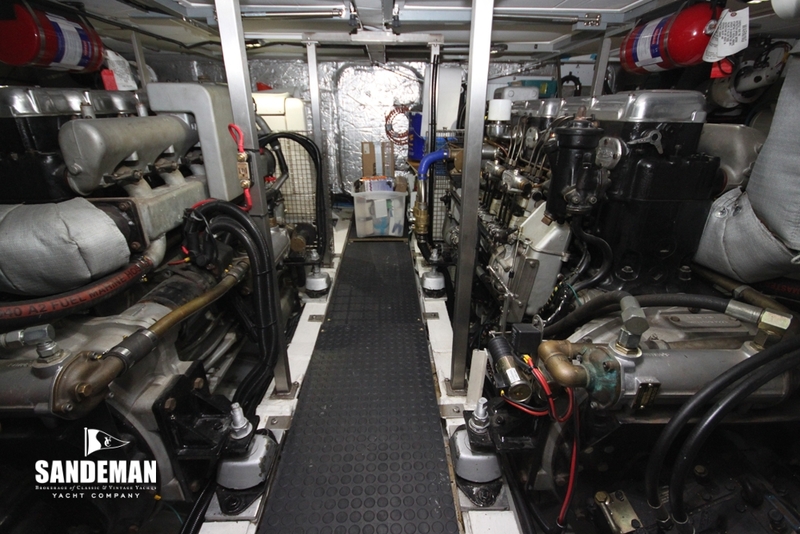 Old pumps, fittings, wiring and pipe work had been left in situ instead of being removed when replaced, creating water traps that corroded the hull plating from the inside; some losing more than 70 per cent of their original thickness. 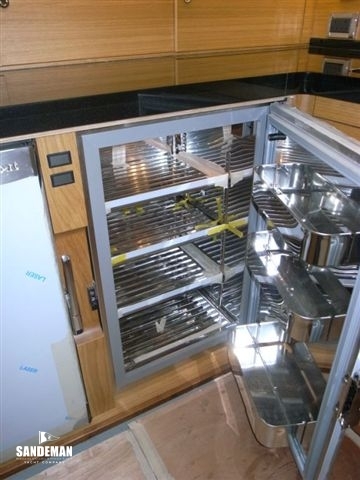 Ultrasonic surveys and grit blasting revealed the extent of the damage – the hull needing around 30 square metres of new steel. 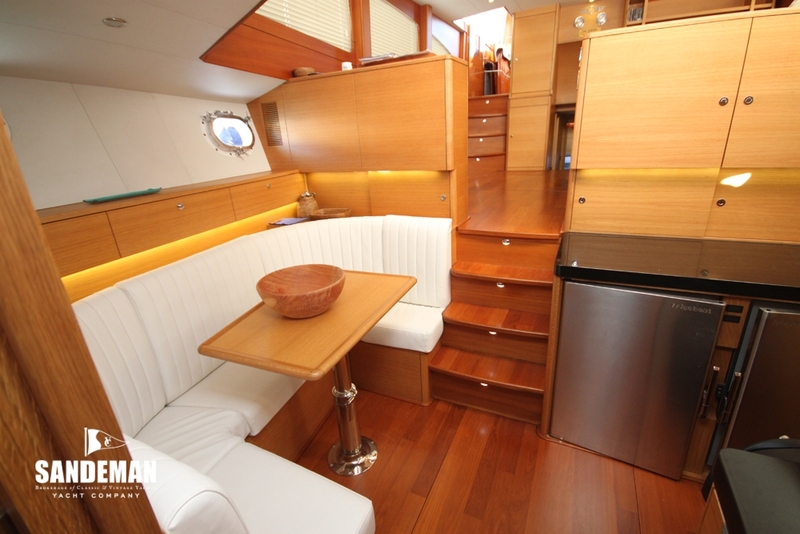 Without the 1980s pilothouse, TIKY was back to her original open deck but with a replacement pilothouse that is easily removable. 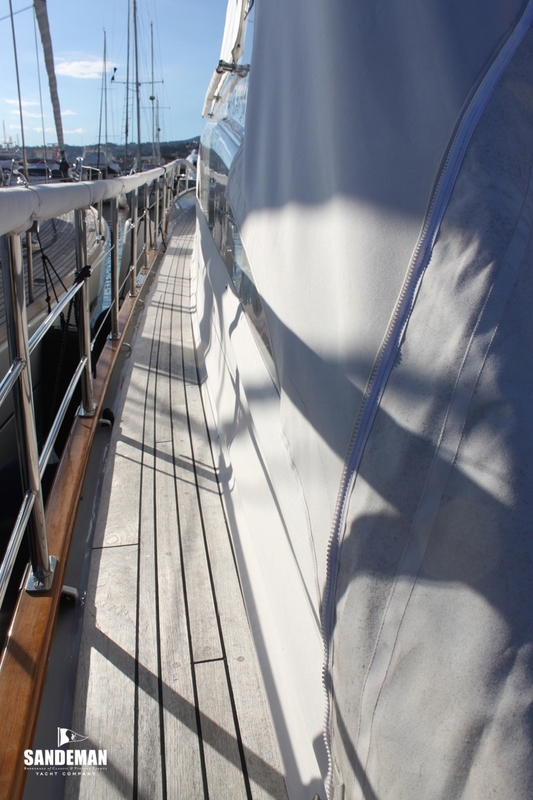 All the mild steel and aluminium deck fittings were replaced with stainless, including a new stainless guardrail, and many vintage fittings acquired to replace those missing or in poor condition. 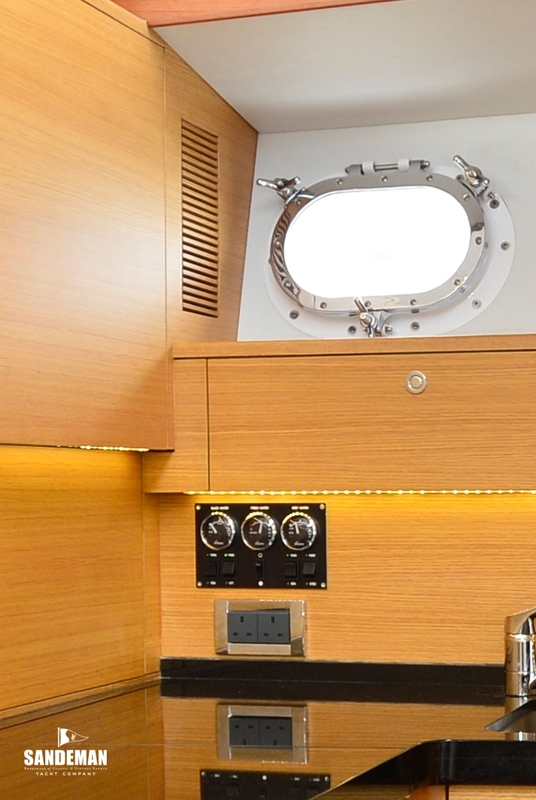 In fact, apart from the rebuilt hull and the sides of the saloon structure, the only elements of TIKY that remain original are the anchors, the saloon coffee table and the compass - and all now totally refurbished. 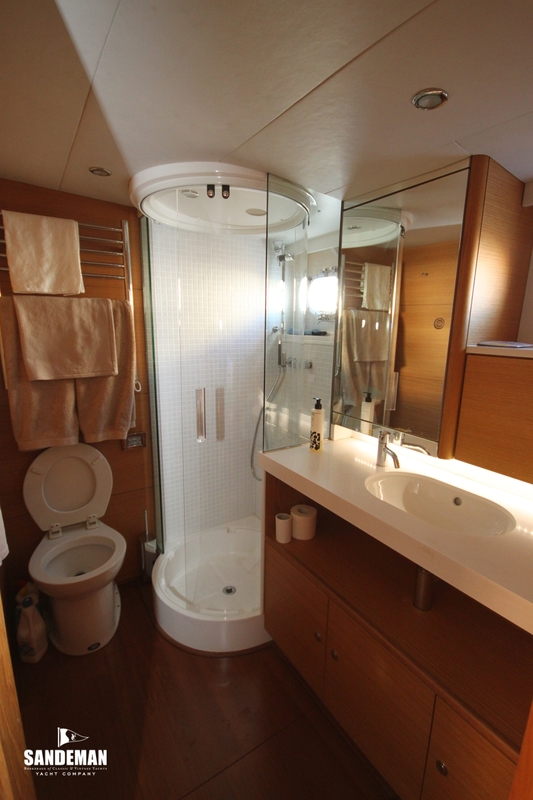 The owner meanwhile had set about redesigning the interior. 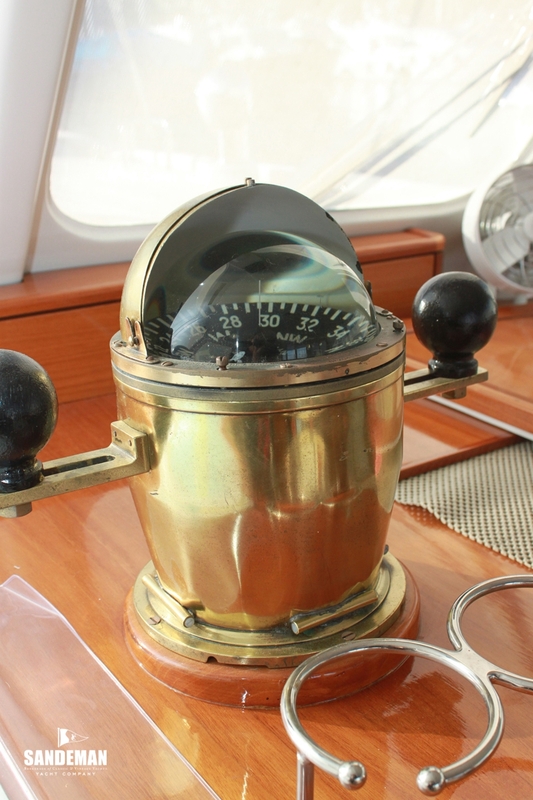 As a steel boat and with no bulkheads left inside, he had carte blanche. 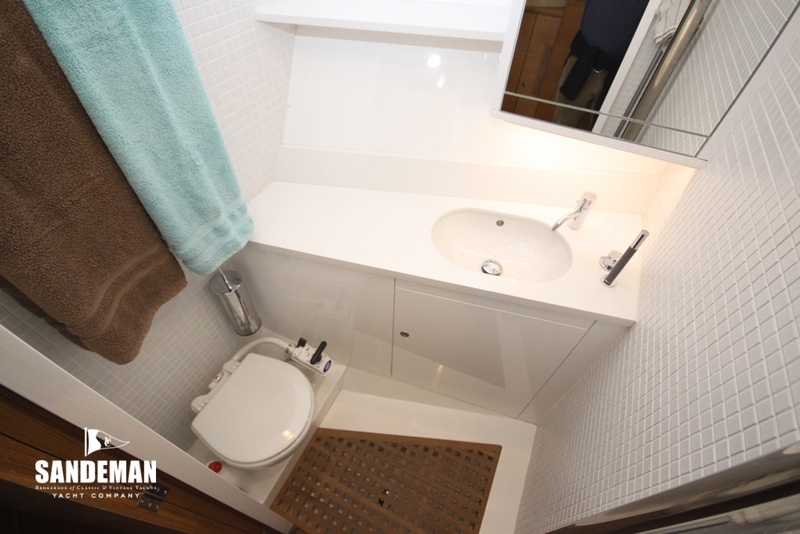 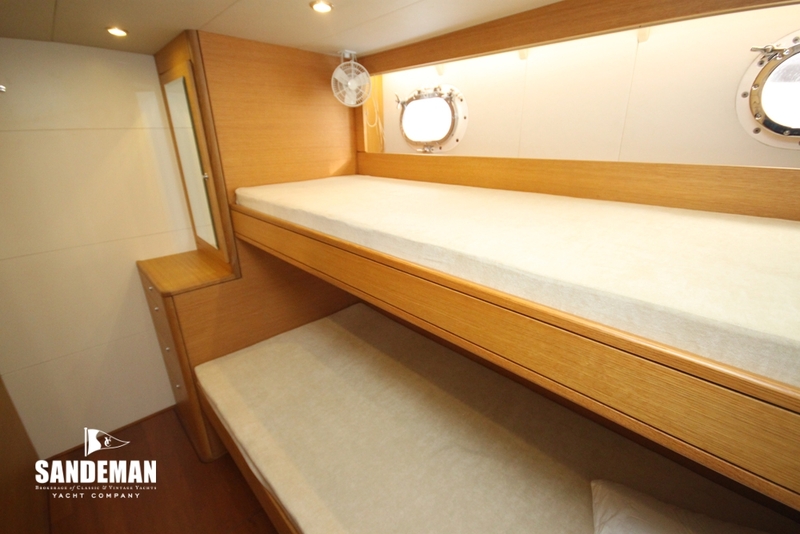 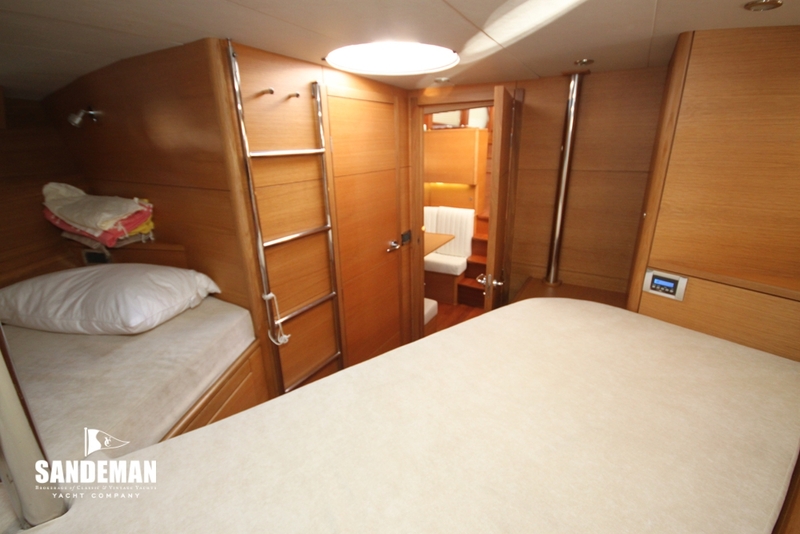 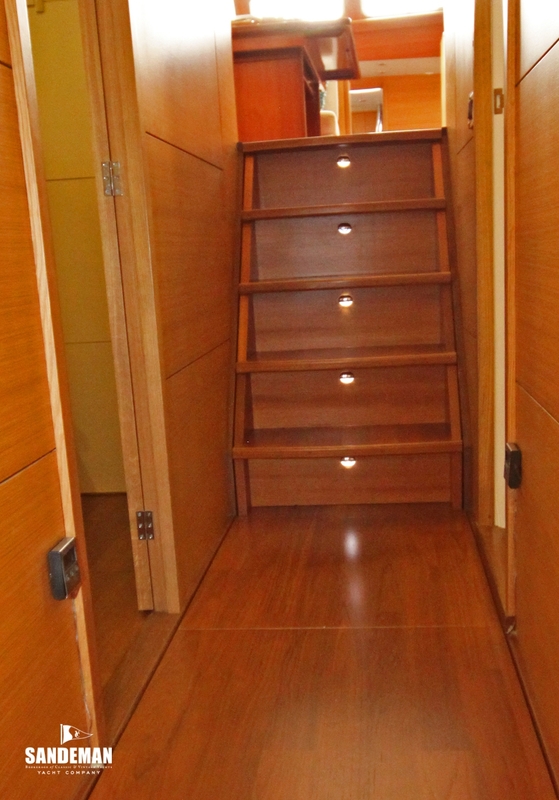 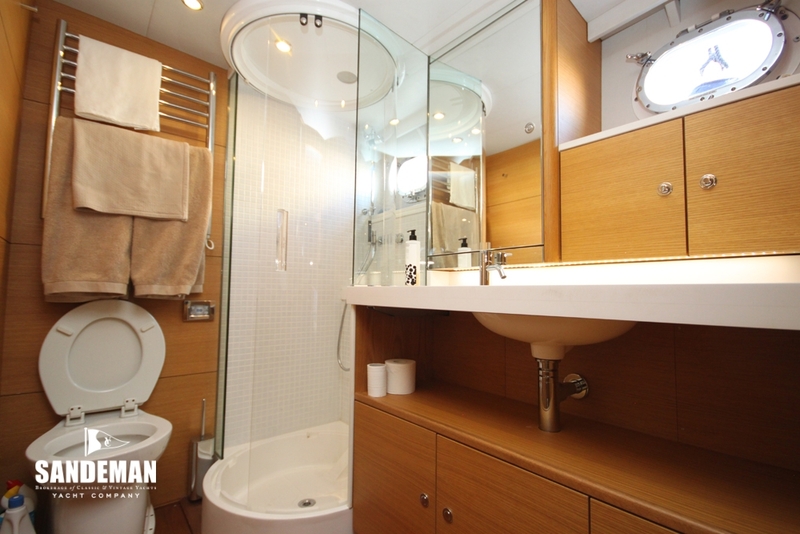 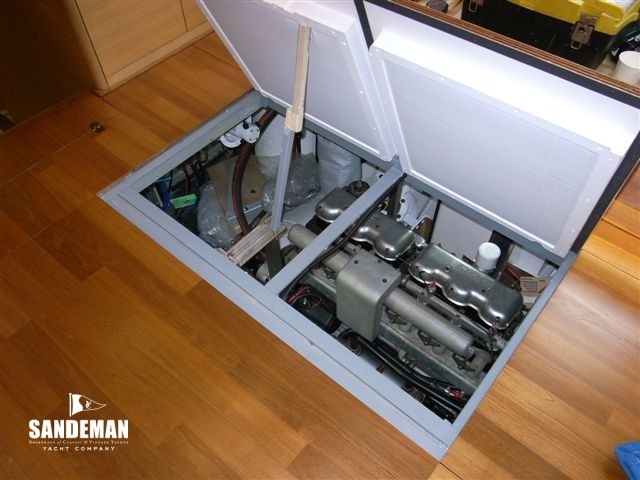 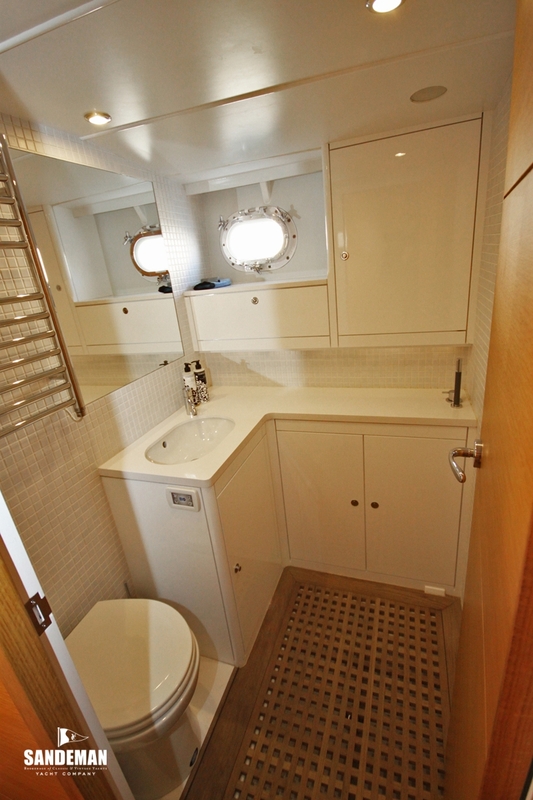 His new plan opened up the galley to the saloon and removed a small guest cabin aft enabling enlargement of the owner’s cabin and en suite, fitting a double bed in place of the V-berth. 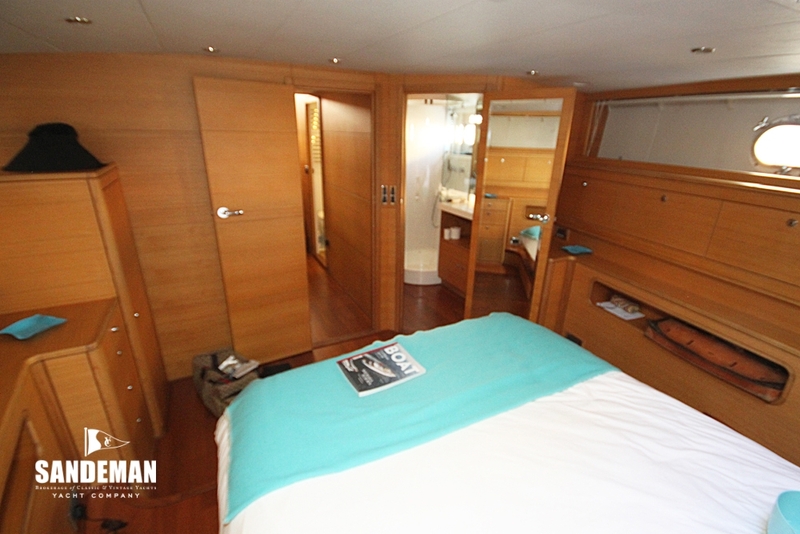 Thus the yacht has three good cabins, all en suite, and a saloon with a modern L-shaped sofa. 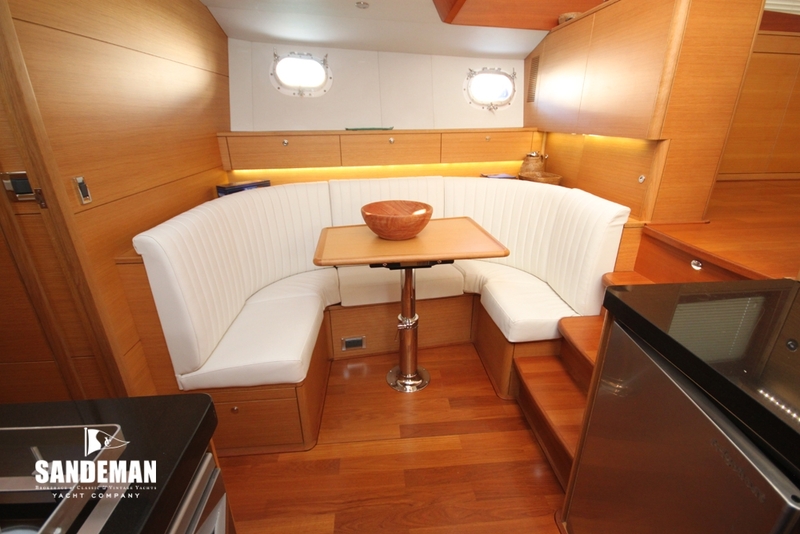 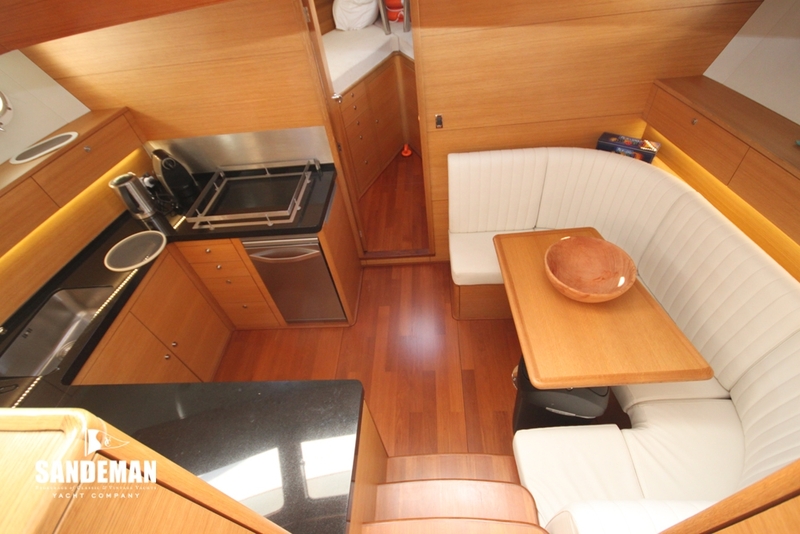 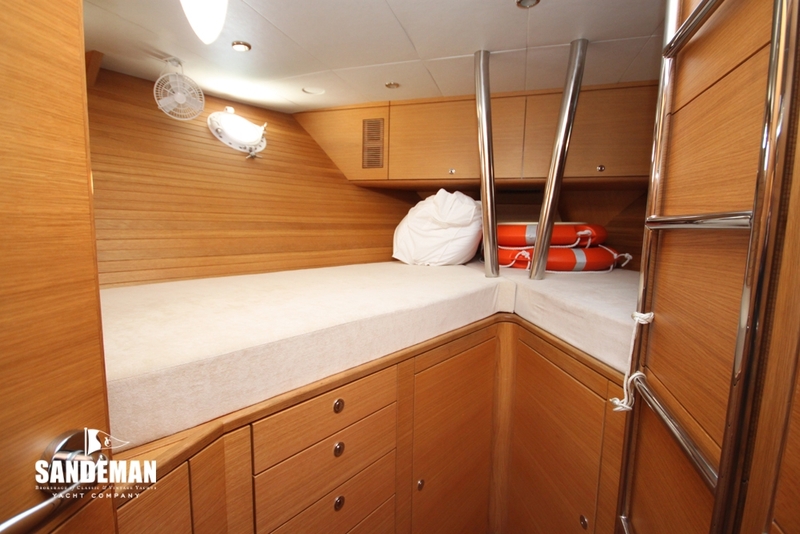 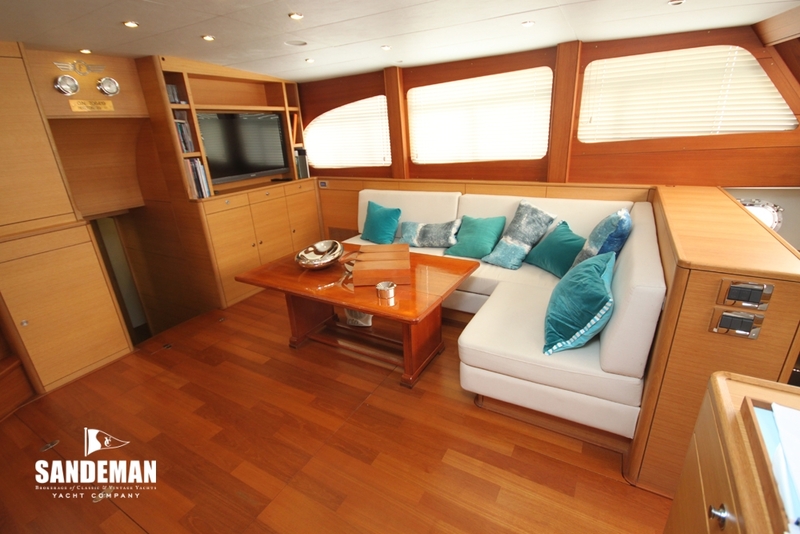 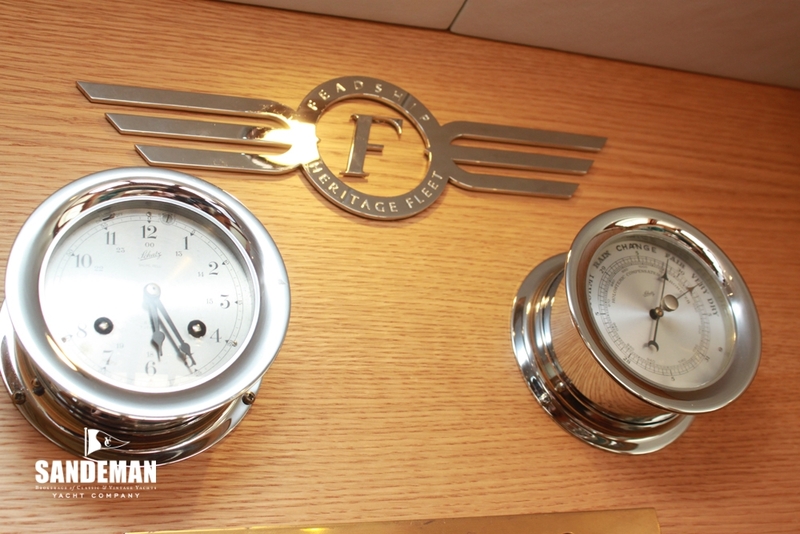 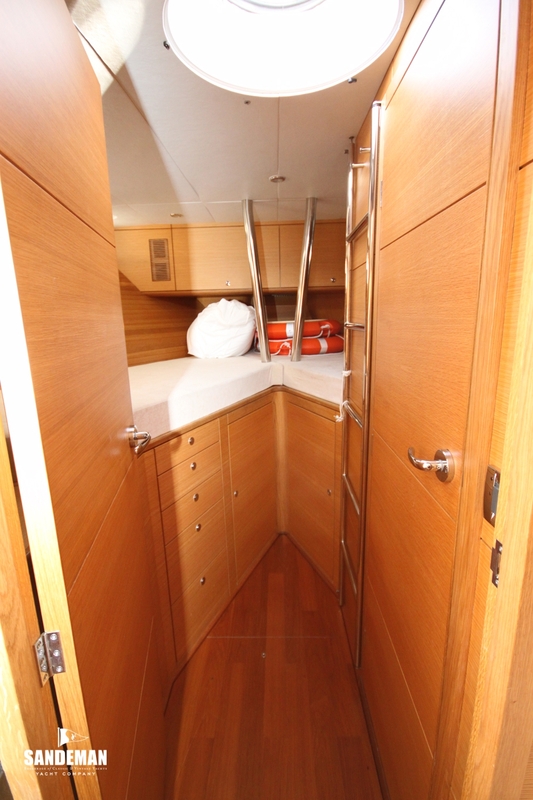 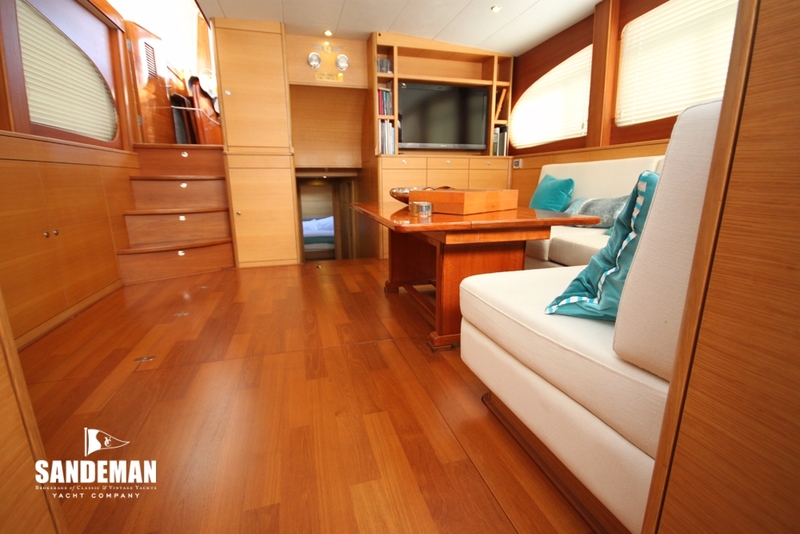 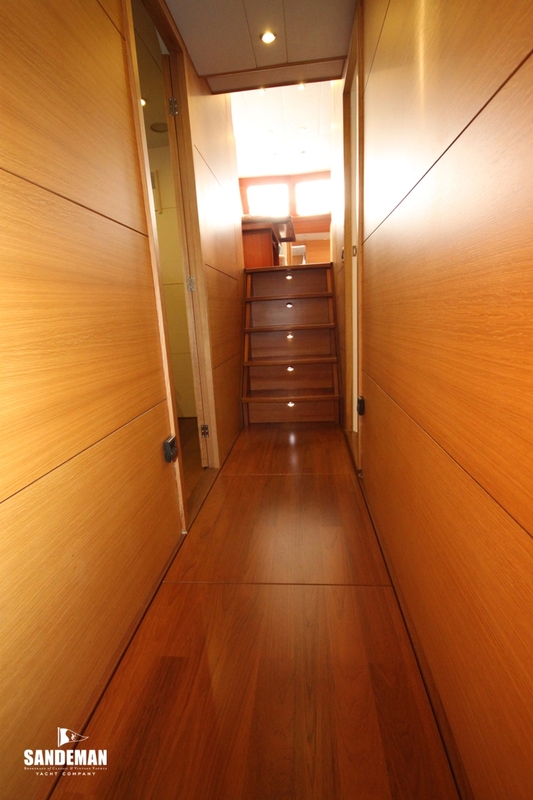 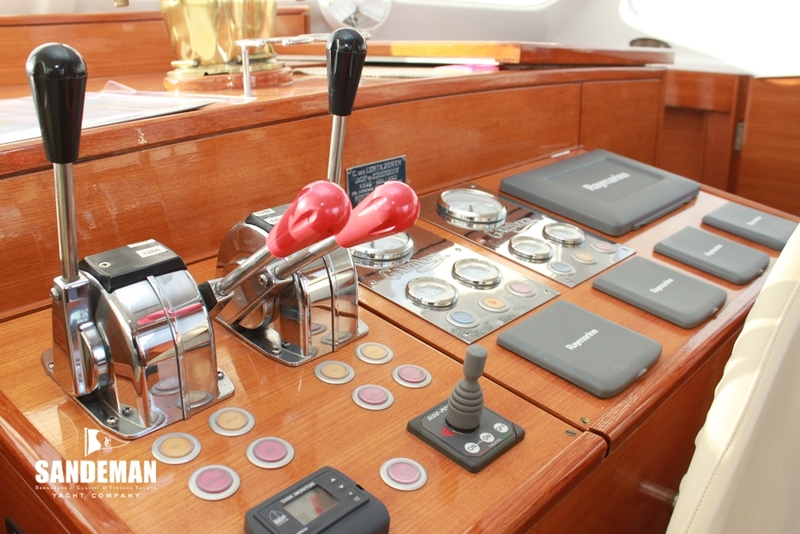 The interior was originally of mixed exotic woods, but light oak and a teak cabin sole were chosen for the refurbishment. 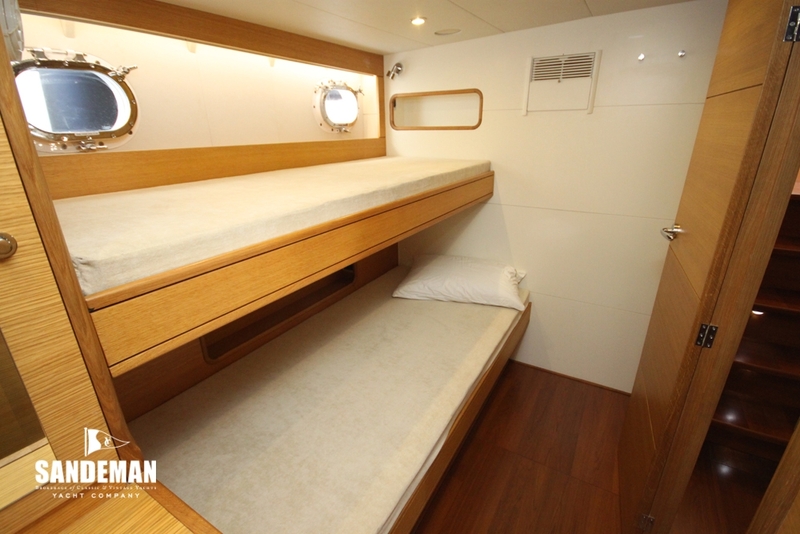 All the accommodation was given air conditioning and forced ventilation. 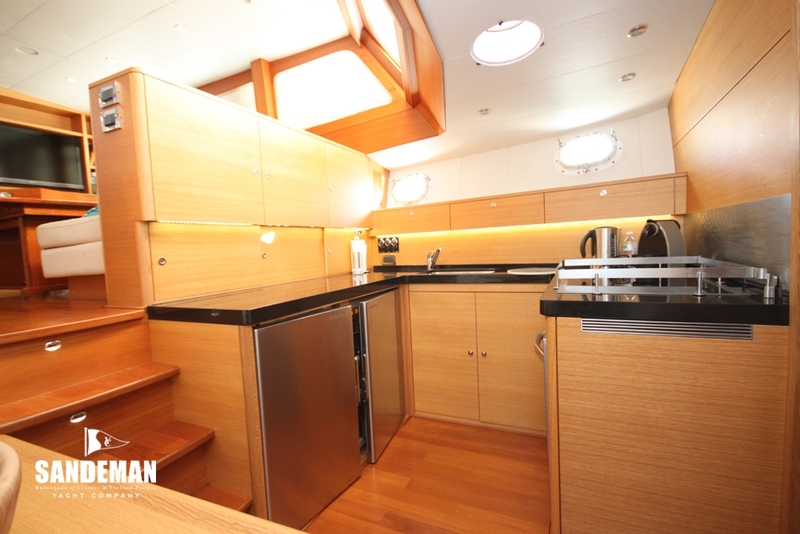 Comprehensive lighting and plumbing systems were fitted and black granite worktops and high-grade equipment were installed in the galley. 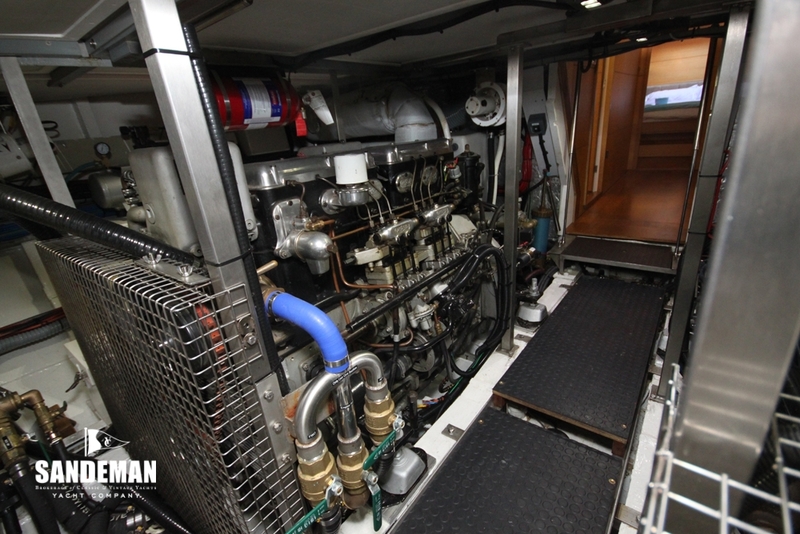 The engine room was totally rewired and re plumbed. 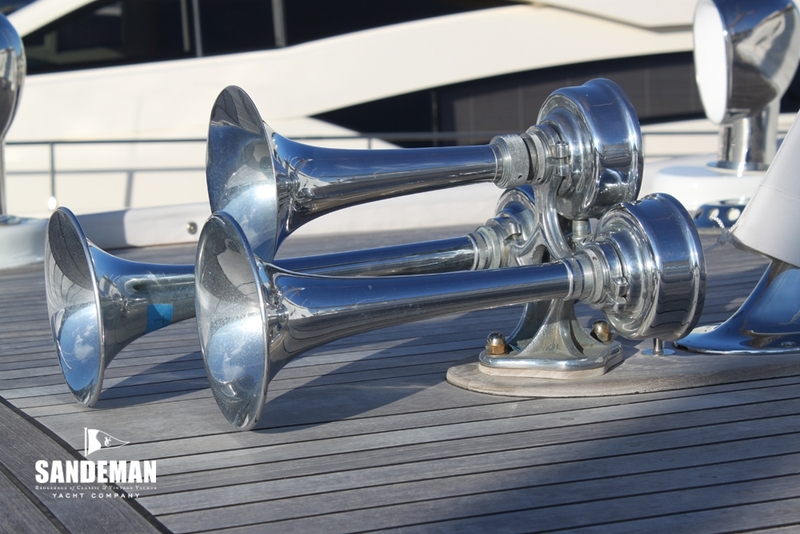 In December 2011 the yacht was moved by road to Fox’s Marina & Boatyard in Ipswich to be finished, painted, and commissioned. 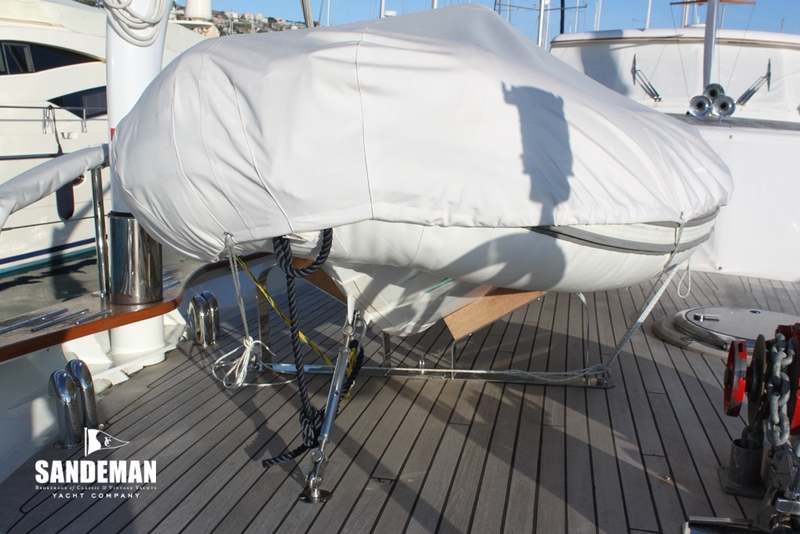 Notwithstanding a period of serious illness causing more delay, the owner recovered and for the next 12 months, spent at least a day a week at the yard as well as hundreds of hours sourcing gear and equipment. 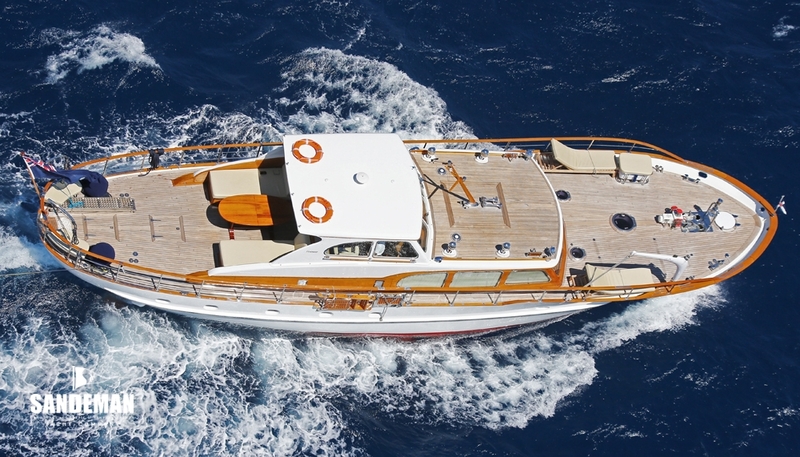 Finally; eight years after buying her, in May 2014 TIKY was deemed fit enough to meet his high standards, launched and delivered to San Remo in Italy. 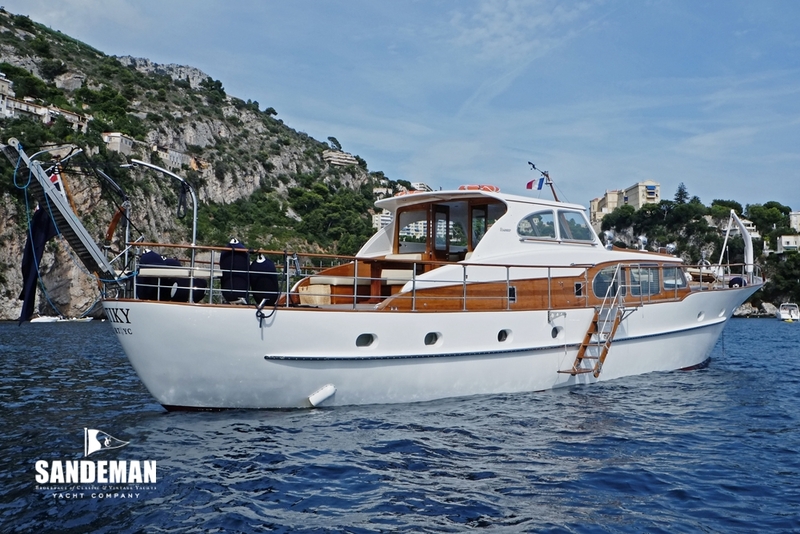 An experienced local skipper was taken on two months were spent cruising between San Remo and St Tropez with family and friends. 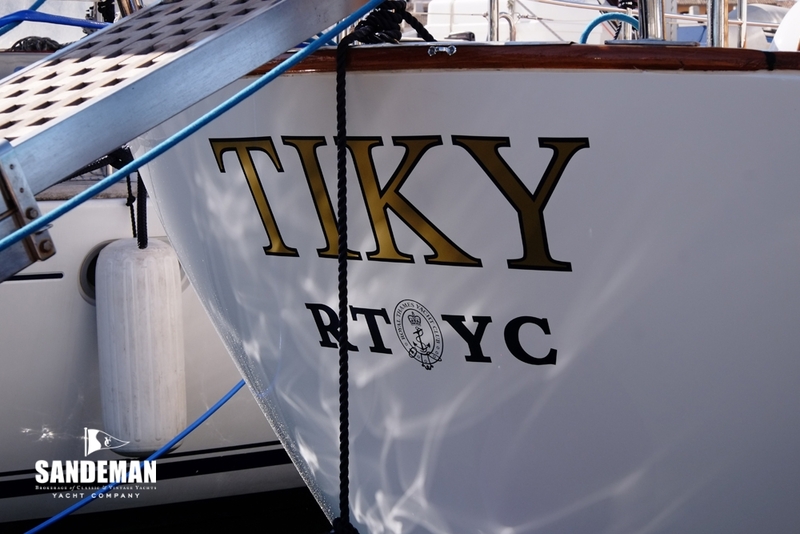 “We’ve all loved every minute of being aboard TIKY and barely a day goes by without someone stopping and asking about her” her owner says proudly. 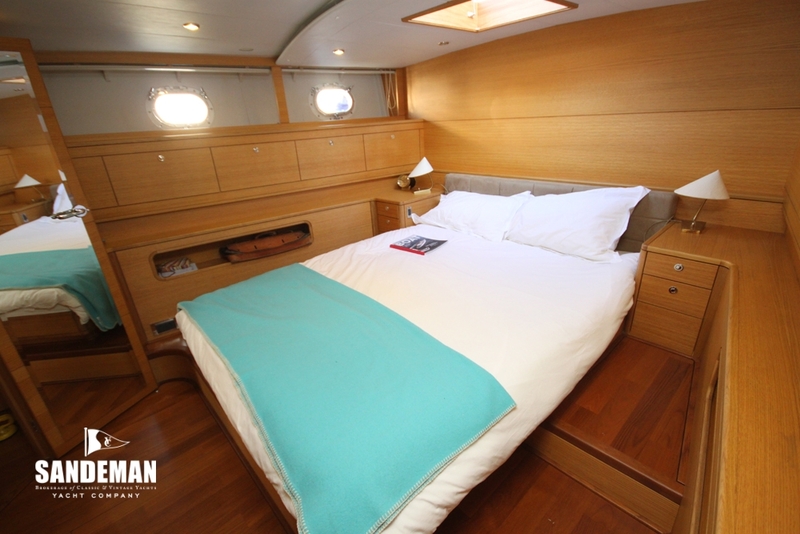 “Everyone who comes aboard marvels at how bright and fresh her interior feels”. 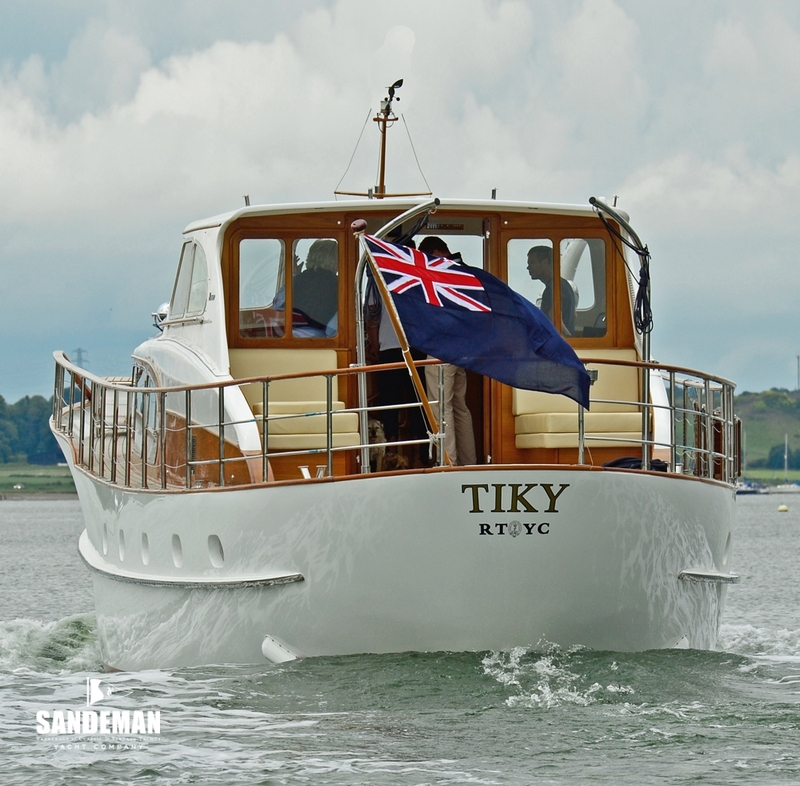 TIKY has undergone a major restoration, the full details of which can be made available to a serious enquirer. 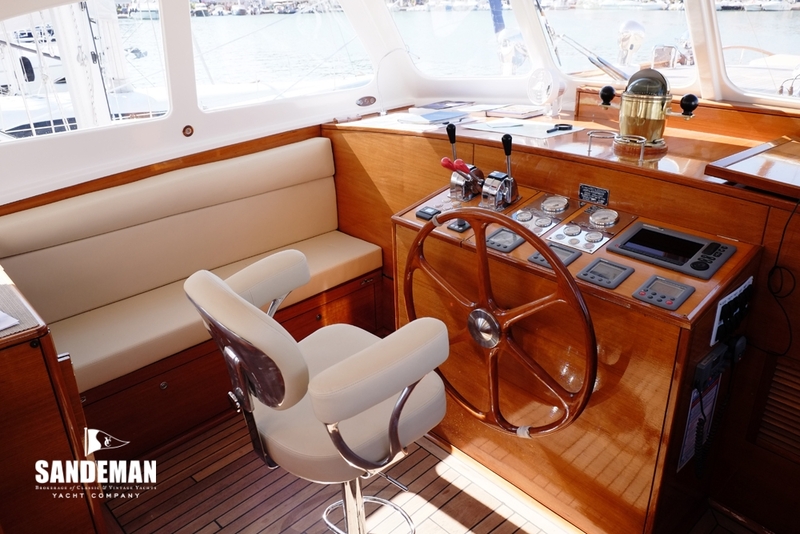 Articles in at least three publications “Boat International”, “Classic Boat” and “Motor Boat and Yachting” all bear testament to the quality of the work done.